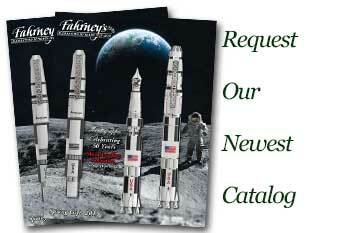 Order your David Oscarson De Molay Fountain Pen today from FahrneysPens.com. Fine Pens, Refills & Luxurious Gifts – great prices & fast shipping. 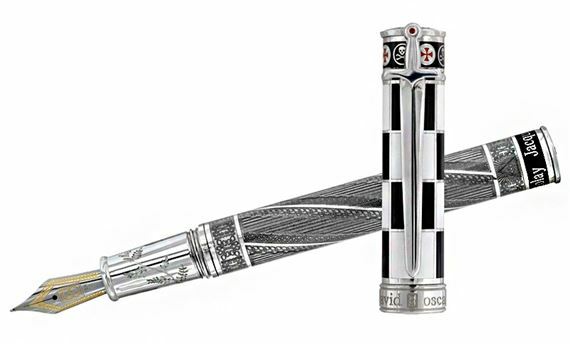 By producing this breath-taking commemorative pen, David Oscarson has done a tremendous service for all those who honor de Molay. May it always serve to remind us not only of the martyrdom of de Molay but also of our Founding Fathers’ prudence to include freedom of religion in our U.S. Constitution. Usually, when we consider “making the ultimate sacrifice” we think in terms of simply giving up one’s life – usually on the battlefield. Jacques de Molay gave his life for the integrity of his Brothers, when he could have saved it for his own benefit.